With the end of the current Titans run, this seems an apt moment to showcase one of my favourite Titans moments in a long time, it's from the JLA/Titans crossover "The Technis Imperative" and I just happened to have obtained the original art for the page in question. Well, bugger, that's a depressingly obvious way to go. To start the weekend, something a little OUTRAGEOUS! This is not a particularly good story. At all. Young Justice Episode 8 - "Downtime"
Way back in 1980-ish, after the first major story arc of "The New Teen Titans" was over, Wolfman and Perez did something in issue 8 which was more or less unheard of at the time, an issue devoted to the characters in their off duty lives, especially new characters we're not familiar with. For legality, the cover of that issue. Episode 8 of Young Justice (which others have noted is more Teen Titans anyway) tries more or less the same thing. We've now seen how the Parasites deal with heroes one at a time, this time around we'll see how the New Titans fare when they enter Bloodlines and meet Courtney Mason. 18 pages of a 57 page story. Alas, the rules of OPM week mean that The Black Cat doesn't count as canon, but let's face it, given half a chance, we'd want it to be. Her next series of images are going to be "Superhero Family's", her work with the Batclan goes without saying, and we've recently seen the Super-family, and the Women of Wonder. And it was a much-grown Roy who got to do the honors of disbanding the original Titans. 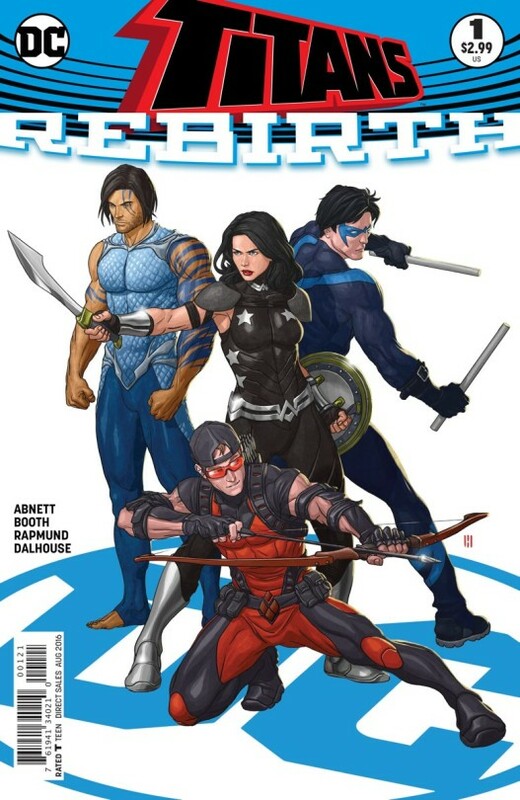 I just don't even know what to make of Titans #23, after rereading this issue. 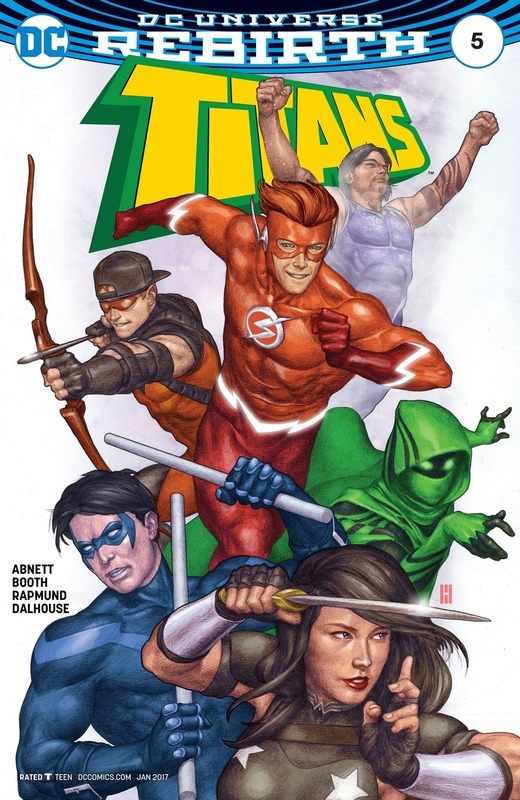 Ok so thanks to the major retcon of all things Original Titans in the recent Titans 23, I wanted to actually post some Original Fab Five stuff. So I went searching and I found these. Two pages from Titans 23, where we learn that the Titans maybe should have been named "He-Man Roy-Haters Club." Ressurecting more of the old posts; Teen Titans Year One is definately one of the best of the Year One minis, helped in very great deal by Karl Kerschl's amazing artwork and visual gags.